A few weeks ago, a friend asked me what the best and worst bits of life with a baby are. 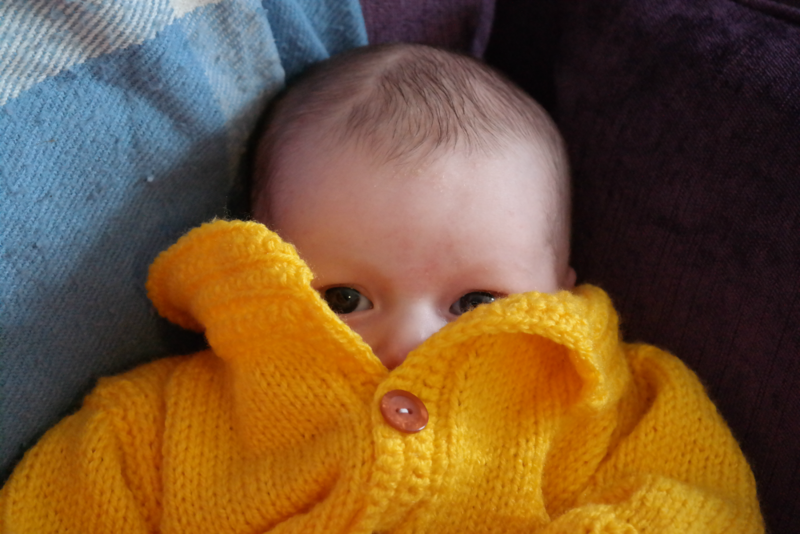 It took me several hours to reply to her text message (because I was feeding and then entertaining a baby) and it has taken me several weeks to write the resulting blog post (because I was feeding and then entertaining a baby) but here goes! Let's get the not-so-great bits out of the way first, shall we? Incidentally, these are the best and the worst bits for me. I know, for example, that a lot of people would have "The crying! Oh my god, the crying!" at the top of this list but - so far - mine is not a very weepy baby; I can't really complain about her occasional grump. On the other hand, some people manage to cook fancy meals whilst looking after a newborn, whereas I can't seem to make myself a sandwich. In particular: dirty nappies at 3am. Self explanatory, right? Although my baby sleeps well at night, through the day she will only really nap in my arms. As a result, the mountains of laundry and the forest of dirty baby bottles get dealt with in the evening or at the weekend and I always feel a tiny bit stressed about potentially falling behind - I'm totally(-ish) fine with the flat being a little grottier than usual but the things which allow me to keep the child alive and healthy have to get done somehow. I'm used to feeling like a competent, capable person but suddenly I'm having to learn how to do everything. I don't just mean the baby-specific things like reading my child's body language, putting the ideal number of sheets on her bed and buying the correct size of nappies - I mean such simple, everyday things as catching a bus (with a pram!) or nipping to the corner shop (with a pram!) or going to a cafe (with a pram!). It's odd, not really knowing what I'm doing half the time. I don't mean the sleep deprivation (that's tough but I'm pretty used to poor quality sleep); I mean twelve hours a day of caring for and attempting to entertain a baby. Things get a bit repetitive, waving the same toys around on the same playmat in the same flat, day after day. It's getting easier now she and I are better able to get out and about (I'm stronger; she's calmer) but I still hit a wall about four o'clock most days and feel very, very ready for Steve to get home from work. Not that any of my friends expect me to talk about anything else right now, but I still find myself worrying that I'm boring them and apologising for my single track mind. But it's not all tricky stuff. In a lot of ways, the past nine weeks have been incredible. I spend so much of my day sitting on the sofa, not-so-tiny baby curled against my chest. Sometimes I read. Sometimes I surf the net. Sometimes I just watch her sleep. Having to slow down and let my normal routine slide is rather lovely. Nine weeks ago, this child didn't exist - not really. That's incredible to me. And it's amazing how much she has learned since then. When she puts her mind to something, she tries and she tries and she tries and she shouts and she squeals and she thrashes all her limbs around madly until she finally succeeds. For the first six weeks or so, my child found pretty much anything outside the flat overwhelming - if we took her anywhere new, she would bury her face into one of us and cling on tight. Suddenly, she's fascinated by the world. We take her out in her carrier and instead of falling asleep she gazes around her. I love watching her learn. My heart could burst watching Steve and his daughter interact. This has all been new to Steve, too, and it's incredible watching him find his confidence as a father; he has gone from not having a clue what to say to her to swooshing her around the room, singing nonsense songs and wittering on about dinosaurs. I'm so full of love for my tiny family. There is nothing in the world - nothing at all - as beautiful as my baby's smile. Especially when it's aimed right at me.